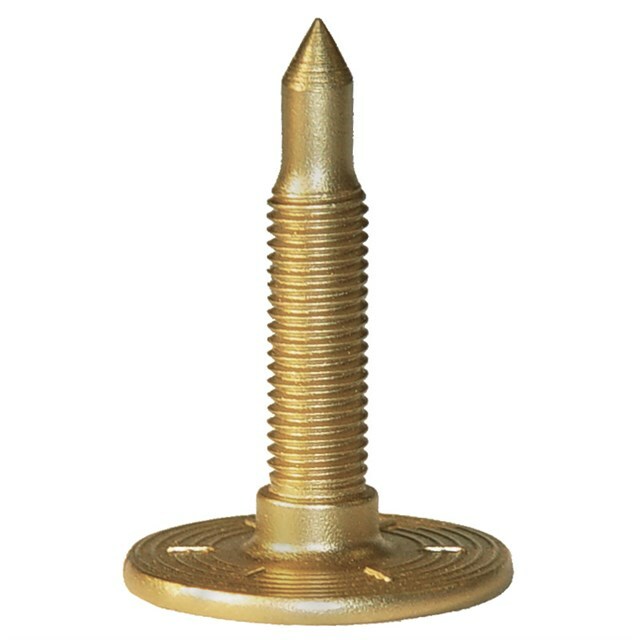 Overall Stud Length: 1.968", Threads: 5/16"
Overall Stud Length: 1.840", Threads: 5/16"
Overall Stud Length: 1.711", Threads: 5/16"
Overall Stud Length: 1.491", Threads: 5/16"
A popular choice for single-ply track studding. This stud takes the original Grand Master to the next level, as its tip is sharpened to match the 60° carbide insert. If you're looking for an extra bite of performance while riding trails or cross country, this is it. Proper nut(s) included with stud(s). Purchase additional nuts here. Looking for expert traction advice? Shop our Hookup Traction Guide to see what is required to take your riding experience to the next level, based on your stock snowmobile, riding style, and preferences. Woody's recommends snowmobile studs protrude 1/4" to 3/8" over the track lug.